If there’s one thing that the Wachowskis have proven time and time again, it’s that they never do anything small. If the duo are going to make a movie, they are going to make the biggest and craziest movie they possibly can on the off chance that they are never allowed to make another one again. We saw what happened a few years ago when that went wrong in the fascinatingly flawed Cloud Atlas and obviously saw it all go right with The Matrix. Now the directing duo have decided to try their hand at a lil’ space opera. 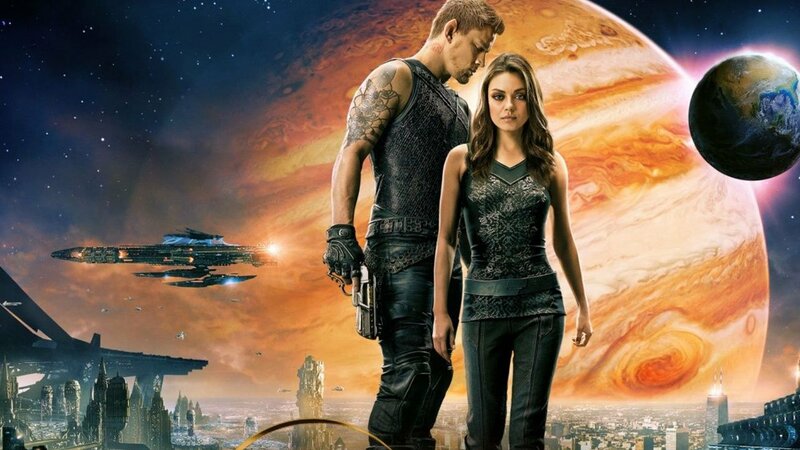 Their latest film Jupiter Ascending could be described as the Wachowskis’ take on Star Wars were it not for the fact that it’s also their take on Dune, Flash Gordon, Heavy Metal, Brazil, and a Disney princess story amidst at least a few dozen other inspirations. They’ve gone for full on goofy entertainment this time too, sneaking substance in as subtext in a giddy sugar rush of blockbuster entertainment. Their film is far from perfect and is quite often even laughably off-key. However, the sequences that work are so strong and everything surrounding them so outrageous that you can’t help but be charmed by the movie at least a little bit, even if it pummels you into submission. Mila Kunis stars as a Russian immigrant who cleans toilets all day and struggles to accept her family at night. She has an obsession with stars that she can’t quite explain, so much so that’s she’s agreed to sell her eggs at a fertility clinic just to afford a telescope. Then once she’s about to undergo the surgery the doctors turn into aliens that try to kill her. In the nick of time, a half-albino/half-wolf/all-hunk Channing Tatum shows up wearing rocket boots and kills all of the aliens with a laser gun. From there, it’s time for a pretty astounding fight-or-flight action scene in the Chicago skyline. After that, it’s time to meet Sean Bean (obviously he’s in this movie) who lets Kunis know that she’s actually the reincarnation of the queen of the universe or something. How does he know? Because bees really like her and he’s got a house full of bees. Why, you ask? Well…Wait! There’s no time to explain. At this point the whole gang flies out to the farthest reaches of the universe where Kunis meets her several-millenniums old children (Tuppence Middleton, Douglas Booth, and Eddie Redmayne). One-by-one they all turn out to be evil, which can only mean one thing. It’s time for a big ol’ fight with the fate of the universe hanging in the balance. You know, that old story. If you got lost during that plot summary, don’t worry. The actual movie is even more complicated. 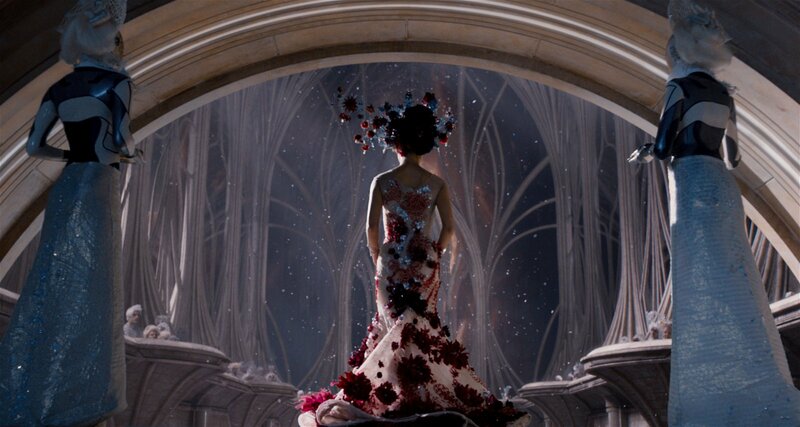 However, as convoluted as the narrative can get, Jupiter Ascending is never impossible to follow. The Wachowskis make pop after all. If it’s tricky to figure out what’s what, that’s because it’s supposed to be. All will be revealed for those who pay attention, even if some of the dialogue is as difficult to squirm through as some of the weakest monologues shat out of David Lynch’s brain while adapting Dune. And with dialogue that rough comes some pretty ridiculous and histrionic performances. Eddie Remayde might be a great actor under normal circumstances, but when asked to deliver tediously expositional dialogue through snarls and eyeliner, even he turns into a ham. Yep, there are plenty of things that go wrong here, but thankfully more than go right. 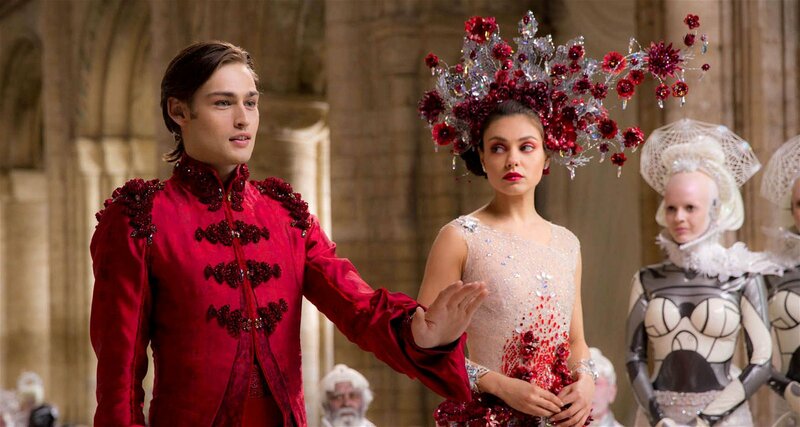 In particular, some sequences in Jupiter Ascending sees the Wachowskis at the peak of their pure visceral entertainment powers. Working in 3D for the first time and embracing it fully, the Wachowski’s craft a handful of eye-gougingly great action scenes that will leave you breathless without a moment’s confusion about what’s blowing up or why (ahem, Michael Bay. Take notes please). Likewise, their pop culture pastiche style is on overdrive like it hasn’t been since The Matrix. This kitchen sink movie throws everything at the screen from walking dinosaurs to leather-bound princesses and an entire sequence paying homage to Brazil topped off with a Terry Gilliam cameo. It’s as if the sibling directors read the reviews for the underrated Speed Racer and the not-at-all underrated Cloud Atlas and thought, “Oh, so you want more Matrix style movies, huh? Well, here’s a full mini-series worth of them crammed into two hours. Try to keep up.” God bless those whacky filmmakers for going for broke, even when they fail. 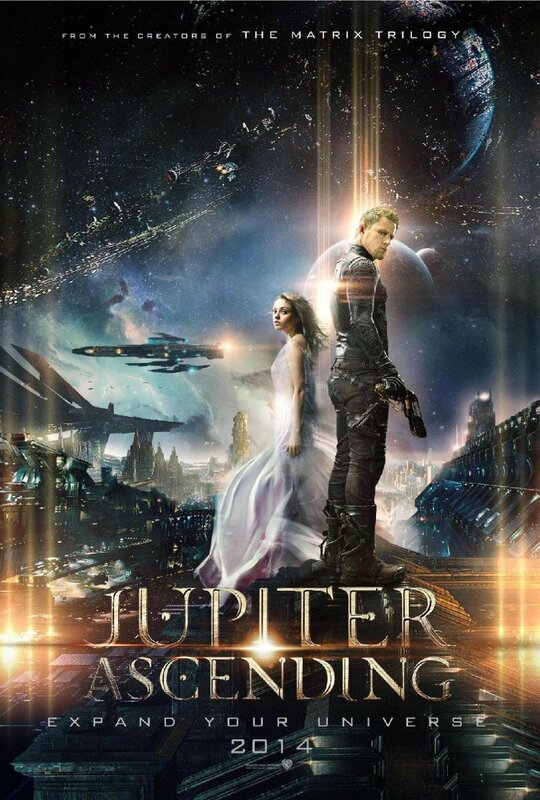 It might be as messy as it is mesmerizing, but Jupiter Ascending is certainly something worth seeing. Your jaw will be agape from start to finish for all the right and wrong reasons. Confusion and scoffing might occur in some viewers, but at least there will be no boredom. 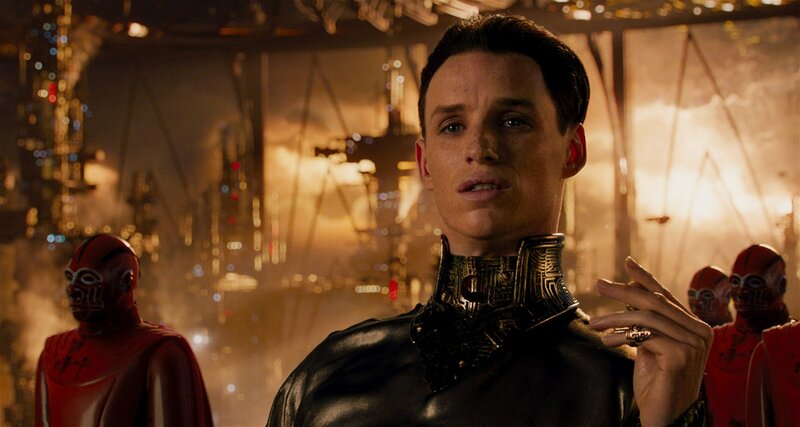 However, as convoluted as the narrative can get, Jupiter Ascending is never impossible to follow. The Wachowskis make pop after all.